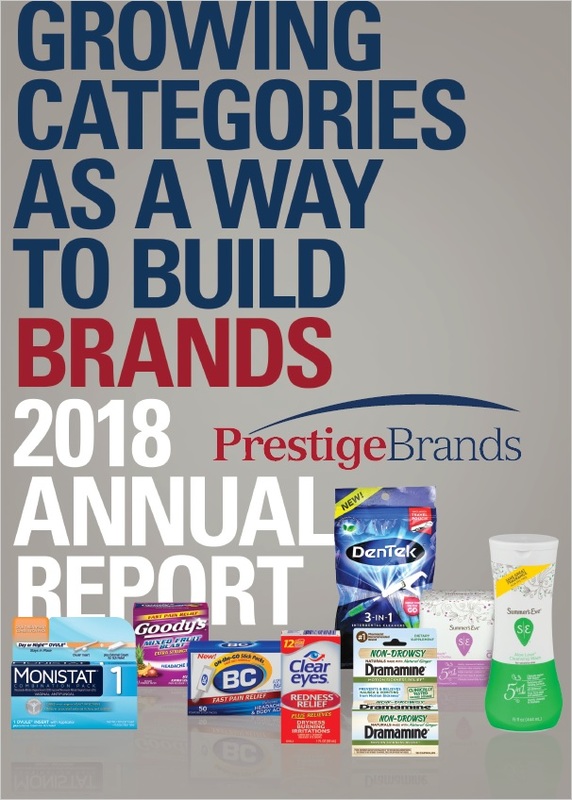 Prestige Consumer Healthcare Inc. (formerly Prestige Brands, Inc.) markets, sells and distributes consumer healthcare products to retail outlets in the US, Canada, Australia and certain other international markets. Prestige Brands offices are located in Tarrytown, NY. We are a company of brand builders. We have grown our company by acquiring strong and well-recognized brands from larger consumer products and pharmaceutical companies. We believe that these brands were considered non-core under previous ownership and, in most cases, did not benefit from the focus of senior level management, strong brand support or innovation. Our management has provided our core brands with the marketing support and senior level attention necessary to enhance the brand's market position, expand its distribution and successfully launch line extensions and new products, with the goal of maintaining and enhancing consumer satisfaction.